This unique and extraordinary guide to seven major sites of Maya civilization highlights the pioneering work of two great scholars of ancient America. For readers at every level -- from the casual tourist to the serious student -- The Code of Kings relies on Linda Schele and Peter Mathews's revolutionary work in the decipherment of the hieroglyphs that cover the surfaces of Maya ruins to give us a far clearer picture of Maya culture than we have ever had. 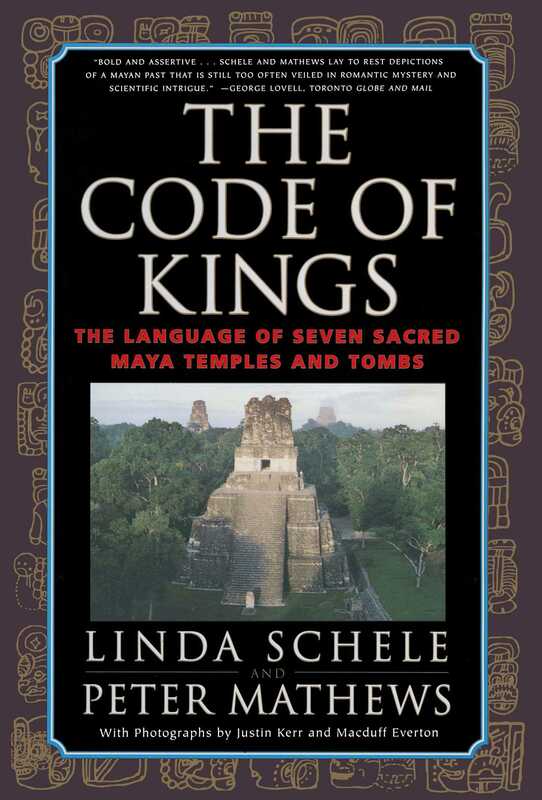 Richly illustrated with line art and the incomparable photography of Justin Kerr and Macduff Everton, The Code of Kings is a landmark contribution to our understanding of the Maya and a phenomenal guided tour of seven of the most awesome and magical spots on Earth. George Lovell Toronto Globe and Mail Bold and assertive...Schele and Mathews lay to rest depictions of a Mayan past that is still too often veiled in romantic mystery and scientific intrigue. George E. Stuart, Ph.D. vice president for research and exploration, National Geographic A glorious summary of the Maya world. Sherman Suter Science Linda Schele and Peter Mathews offer a detailed introduction to the politics, religion, and histories recorded in the architecture and art of the ancient Maya.